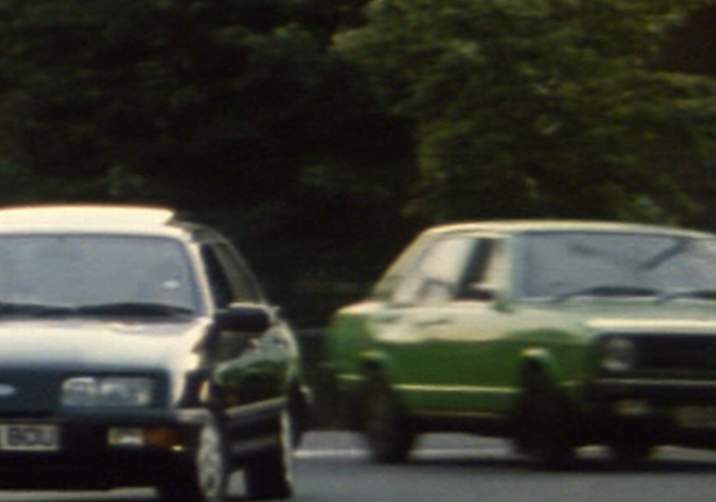 IMCDb.org: 1975 Audi 80 B1 [Typ 80] in "Riff Raff, 1990"
The green one or the black one? 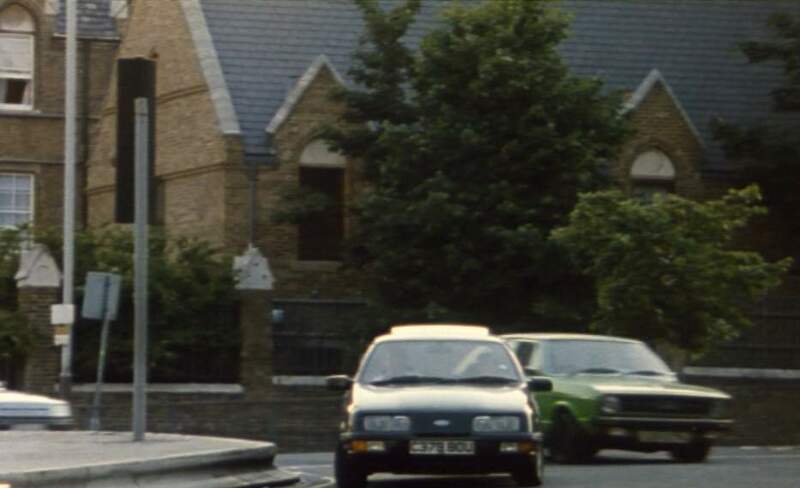 I would say it's an Audi 80 B1 with front grid and lights of a VW (Polo? Derby?) or Audi 50 last generation. The reason I mentioned the VW Derby is the bumpers look like the plastic covered ones seen on late 1970's-early 1980's VWs : http://img.beta.expressz.hu/25/30/30-main.jpg I agree it's an Audi 80 B1 series.